The Duke of York's Theatre is a London West End Theatre in St Martin's Lane, in the City of Westminster. The Duke of York’s Theatre was built for Frank Wyatt and his wife, Violet Melnotte, who retained ownership of the theatre, until her death in 1935. The theatre opened on 10 September 1892 as the Trafalgar Square Theatre, with Wedding Eve. Designed by architect Walter Emden, the theatre became known as the Trafalgar Theatre in 1894 and the following year became the Duke of York's to honour the future King George V.
One of the earliest musical comedies, Go Bang, was a success at The Duke of York's in 1894. In 1900, Jerome K. Jerome's Miss Hobbs was staged as well as David Belasco's Madame Butterfly, which was seen by Puccini, who later turned it into the famous opera. This was also the theatre where J. M. Barrie's Peter Pan, or The Boy Who Wouldn't Grow Up debuted on 27 December 1904. London's The Duke of Yorks Theatre has seen appearances by many famous British actors, including Basil Rathbone, who played Alfred de Mussett in Madame Sand in June 1920, returning in November 1932 as the Unknown Gentleman in Tonight or Never. In the late 1970s the freehold of the Duke of York's Theatre was purchased by Capital Radio and it closed in 1979 for refurbishment. Reopening in February 1980, the first production under the patronage of Capital Radio was Rose, starring Glenda Jackson. The Ambassador Theatre Group bought the theatre in 1992 and this coincided with London's hottest show, The Royal Court's production of Ariel Dorfman's Death and the Maiden. A host of successes followed including Richard O'Brien's The Rocky Horror Show and the hugely successful Royal Court Classics Season in 1995. Comedian Pat Condell also did comedy sketches which were later released onto DVD. Today, the Duke Of Yorks Theatre is the London headquarters of the Ambassador Theatre Group, forming part of their portfolio of eight venues. It is also the producing offices of Sonia Friedman Productions, whose revival of In Celebration starring Hollywood leading man Orlando Bloom played until 15 September 2007. The theatre was Grade II listed by English Heritage in September 1960. Following a sold-out run at the National Theatre, Laura Wade’s ‘piercingly funny’ (Time Out) new play transfers to the West End for 11 weeks only. 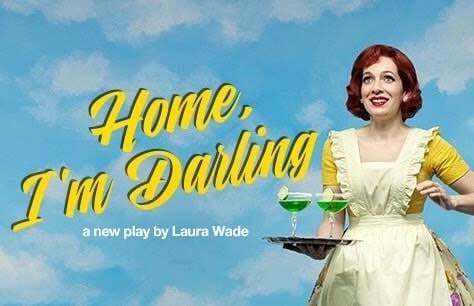 Katherine Parkinson (The IT Crowd, Humans) reprises her acclaimed role as Judy, in Laura Wade’s fizzing comedy about one woman’s quest to be the perfect 1950’s housewife. How happily married are the happily married? Every couple needs a little fantasy to keep their marriage sparkling. But behind the gingham curtains, things start to unravel, and being a domestic goddess is not as easy as it seems.